Faxes come through email, which is great for our environmentally conscious company. Most faxes come through clearly and quickly. We also receive fax confirmations to make sure all of our information sent was received. Some faxes take a long time to come through, sometimes they don't come through at all. Our clients use MetroFax to send us important information that we must keep on file. MetroFax enables us to do this digitally without handling the actual paperwork. The software is very intuitive, so I don't have to go looking for anything. The contact book is easy to use and comes in handy. First, I dislike that there is no real confirmation that the fax went through. The system gives you a reference number, but it just doesn't feel like enough. If I have to prove I sent a fax, I have to click on a million faxes to see the image to find the right one - hope I remember the date I sent it on! There is a search but it has never once been accurate for me. It's just very annoying if I need to prove that I sent something in a timely manner, and since I work with health insurance companies, I often need to prove that I did my job properly so they pay me. Something that would be very helpful in this regard would be listing who the fax was sent to if a name was attached, instead of just the fax number. Secondly, I wish I could save standard cover sheet templates within the software. The representative I asked said that I could save a standard cover sheet as a PDF and upload it, but that doesn't give me the opportunity to tweak it, like writing "third request" or putting a patient's DOB on it for the MD. It does the job, and the price is reasonable. There are no frills, so it all depends on what you're looking for. We are required by law to send our assessments to the MDs, so this product integrates directly with our software. This has significantly freed up staff time as they no longer have to manually fax every assessment, as well as saving resources as nothing needs to be printed. Super easy to use! Can fax straight from my laptop to anywhere I need. Perfect software for my needs. There is nothing I dislike about this product. It has done everything I’ve needed it to with no limitations. * We monitor all metrofax reviews to prevent fraudulent reviews and keep review quality high. We do not post reviews by company employees or direct competitors. Validated reviews require the user to submit a screenshot of the product containing their user ID, in order to verify a user is an actual user of the product. Hi there! 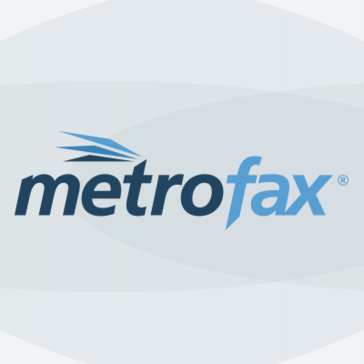 Are you looking to implement a solution like metrofax?